It is a common ambition in society and government to make young people more creative. These aspirations are motivated by two key concerns: to make experience at school more exciting, relevant, challenging and dynamic; and to ensure that young people are able and fit to leave education and contribute to the creative economy that will underpin growth in the twenty-first century. putting young people’s voices at the heart of learning. There are programmes, projects and initiatives that have consistently attempted to offer such change and transformation. The UK programme Creative Partnerships is the largest of these, but there are significant initiatives in many other parts of the world today, including France, Norway, Canada and the United States. This book not only draws on this body of expertise but also consolidates it, making it the first methodological text exploring creativity. 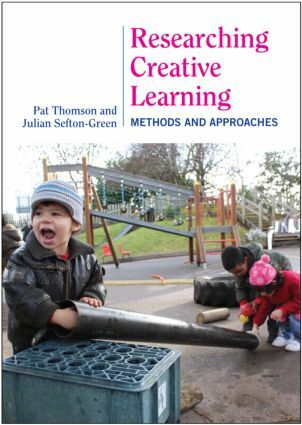 Creative teaching and learning is often used as a site for research and action research, and this volume is intended to act as a textbook for this range of courses and initiatives. The book will be a key text for research in creative teaching and learning and is specifically directed at ITE, CPD, Masters and doctoral students. "This book makes a valuable contribution to the literature on research methodology, providing insightful and productive guidance on how creative learning might be studied and documented with diverse educational aims in mind." - International Journal of Education & the Arts, August 2011. Pat Thomson is Professor of Education at the University of Nottingham, UK, an Adjunct Professor at the University of South Australia and a Visiting Professor at Deakin University, Australia. Julian Sefton-Green is an independent consultant and researcher working in education and the cultural and creative industries. He is Special Professor of Education at the University of Nottingham, UK.